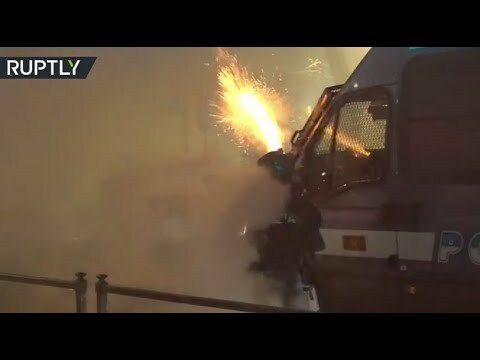 Anarchists clash with cops in Turin | We Seek the Truth! Violent clashes broke out between police and anarchists in Turin on Saturday, after they were evicted from an occupied school. The demonstrators tried to get closer to Via Alessandria, where the school is located, but were blocked by police with tear gas and the use of hydrants.